My sister and I never talked about being adopted when we were younger. The first time we had a discussion about adoption was just a year ago, when she was 31 and I was 29. A couple of weeks ago, my sister, my brother-in-law, and I spent the weekend in Indiana for an adoption conference. I had been invited to speak, and they made the drive to join me for the weekend, which was absolutely amazing. We spent a good part of the weekend talking about adoption and our own experiences. My sister shared things with me about when I first joined my family in Minnesota—things I had never heard before. I’m not ready to share everything she told me, but one of the things she mentioned really put something into perspective for me. My sister told me how easy it was for her to adjust to her life with our family. She mentioned that she was out playing with the neighborhood kids on the second day she was here. It definitely didn’t come as a surprise to me, as my sister has always been very outgoing, friendly, and just very easy to love. My sister told me that I just wanted to be alone and often looked really sad when I first came to be with my family. This really clicked with me, and made me think about my own attachment issues. My desire for alone time has always been a part of me, ever since I can remember. I think people would say that I am a kind and caring person, but I often find myself putting up a wall between myself and others—even the people I love. My fear of being hurt or abandoned—a fear I have harbored since I was little—developed into a need to always keep my guard up. The wall I put up between myself and others is my go-to coping mechanism. My children are my life, and I would do anything for them. They know how much I love them. As much as it pains me to admit this, I would be lying if I said that my attachment with them comes easily for me. Most parents don’t think about attachment with their children because it comes naturally to them—it’s a non-issue. My love for my children has always been there and has never been in question. But, I often question my ability to fully attach with them. I believe that, due to my experiences early in life, I never learned how to fully attach correctly. I have relationships I cherish and very much value the people I have in my life. I have found that attachment has always been a balancing act for me, as I have often vacillated between becoming overly attached and pushing people away. I feel like I am really putting myself out there, but there are times, as a parent, when I feel like I do things for my children because I’m supposed to, not because of an innate feeling of wanting to do it for them. There are times when I feel the walls go up between my children and me, and it takes everything I have to break through them. My husband and I provide my children with the things they need, and they don’t want for anything. They are happy, loving and caring little guys. There are times when I feel extreme guilt because, as much as I love them, I sometimes look at them and can literally feel the wall between us. It scares me to feel this way, and I know that this is because of my attachment issues, but it makes me feel like I am an awful person. I feel absolutely horrible that, even though I feel like I am a good mom to my sons, I’m not a complete mom. I believe the fact that my children both have special needs is one thing that has somewhat exacerbated these feelings of not having fully attached. Every parent has dreams for their children, and most parents want to protect their children from anything that could possibly hurt them. When your child has special needs, you learn to adjust your life to fit their needs. These adjustments include letting go of some of the dreams you have for your child. It’s also difficult to know that you can’t protect your child from his or her special needs. Some parents are able to adjust easily to their child’s special needs, and are able to view the situation from the glass half-full perspective. Other parents greatly feel the loss of their dreams for their child and the guilt they carry for not being able to protect their child from something completely out of their control. I tend to fall in the latter category. My children’s special needs are seen as a source of pain, so the desire to block out that pain sometimes translates into my putting up a wall between myself and my children. I wrote this piece a while ago, but thought it would make a great first blog post. My husband and I are currently in the process of swapping rooms around in our house. Of course, with moving things around, comes the process of going through and throwing things away. My husband is very much a “thrower” and I am very much a “saver”. I am also an adoptee. As I was watching my husband toss handfuls of things into the garbage without blinking an eye, I could literally feel my heart breaking. When he was finished, I quietly went through the bags and boxes piece by piece and rescued the items that meant something to me. My husband understood and left me to do what I needed to do to get through this process. After I had gone through everything, we had a conversation about it. He told me that he wasn’t a sentimental person and never had the same attachment to things that I always have. I told him that adoptees view “things” differently than those who haven’t had that experience. 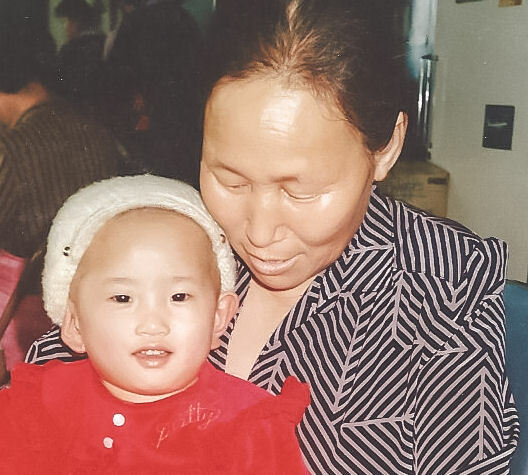 I was left abandoned in a subway station in Korea when I was one. I was left with absolutely no identifying information–no name, no birthdate…nothing. I was adopted at age two, and all I have of my life in Korea are “things”. I have no memories of the life I lived before I came to America. I told my husband that I have a greater attachment to “things” because of those earlier losses I experienced in life. These things include baby items, some papers, pictures, and other items that have memories attached to them. I reminded him that his mom has his things from when he was a baby. I have nothing from when I was a baby. I hold very dear the “things” from when my sons were babies. They may never mean much to them, but they are incredibly important to me and they will always be here should my sons ever want to keep them or pass them along to their own children someday. 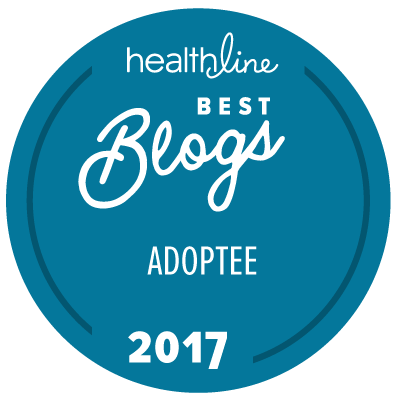 I was mulling over the events from this weekend, and I realized how important it might be to share this experience with foster, adoptive and kinship parents. When you are getting ready to move or when you are tired of the clutter and are in the mood to throw things away, please be sure to give your adopted or foster child time to process the change and go through their belongings. It might take longer than you’d like for this to happen. If it means putting things into boxes and storing them in the garage or attic until your son or daughter is ready to go through them, then make this accommodation for them. Never spring something like this on your child and expect him or her to get over it and make it happen within a day or an hour. Getting rid of things can be a painful process for anyone, and even moreso for a foster or adopted child. Please remember that the items you view as just “things” might mean the world to your child.